Based on the actual size of the dormitory, we built a simulated room with the KT board and designed a walkway. 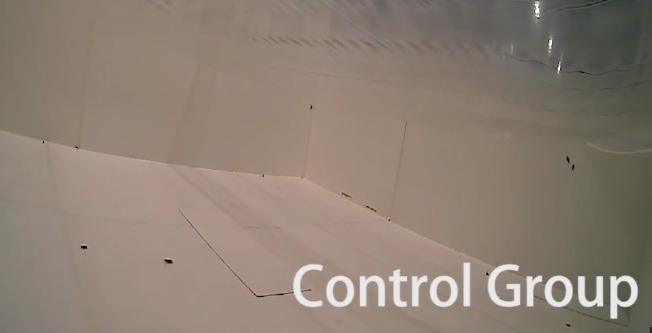 Our experiments are divided into three groups: control group, the chemical group and the biological group. The control group did not add any pharmaceutical agents. The biological group was placed with the second generation of GreenGround. We will place 30 cockroaches per room. 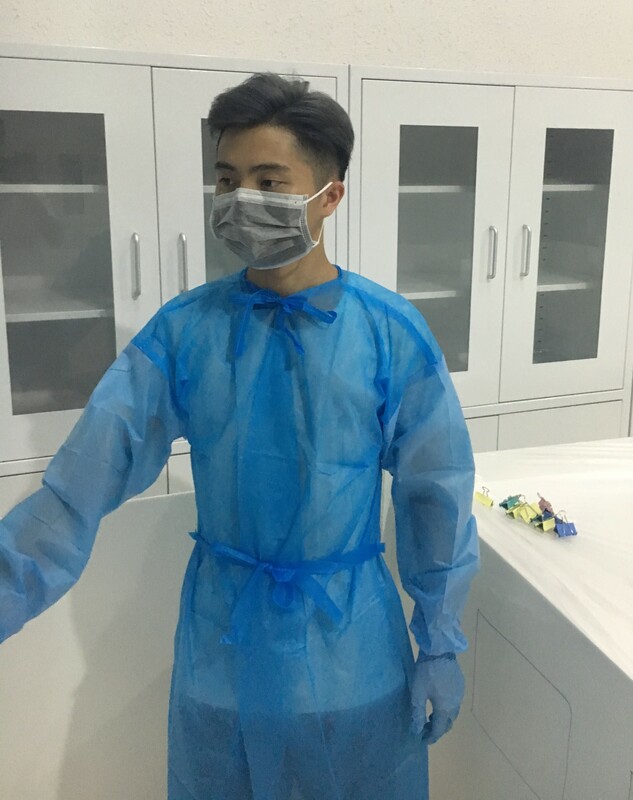 The experimental period of each group is 3 days, and each treatment consists of 3 parallel groups. The main data recordered are mortality, migration rate (to the aisle and room B). The cockroaches in the room B and the aisle are considered to have been migrated. 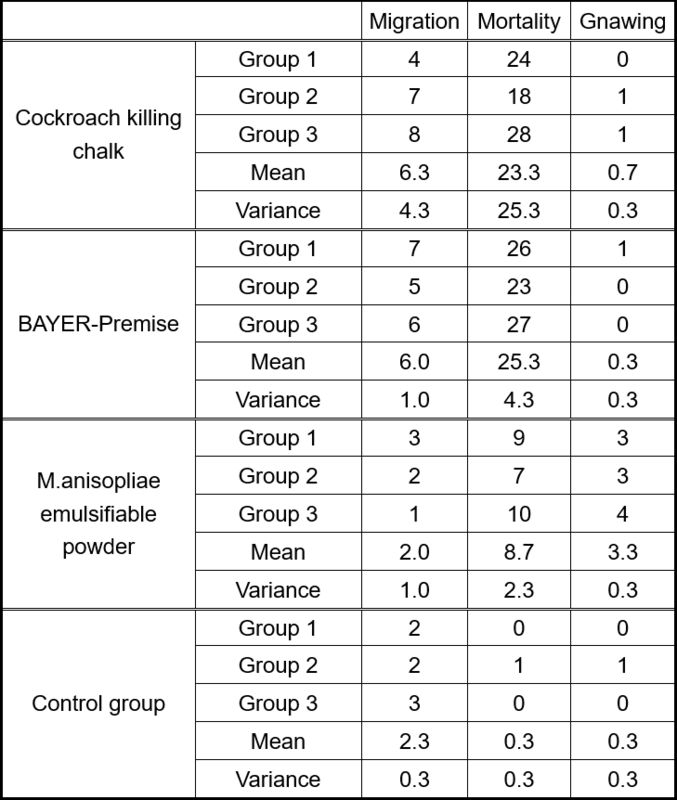 The purpose of setting up a control group is to know mortality and migration rate of cockroaches without the influence of any pharmaceutical agents, and these data can provide references for our analysis of chemical and biological groups. 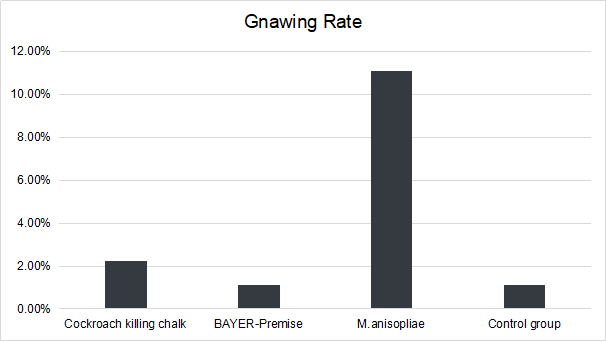 As is shown on the chart, we can analyze that cockroach killing chalk and BAYER-Premise have a big impact on migration rate, they both cause it higher than the control group, while the M.anisopliae emulsifiable powder's is lower than those three groups, that shows the M.anisopliae emulsifiable powder is more attractive to cockroaches and has less impact on neighbors. 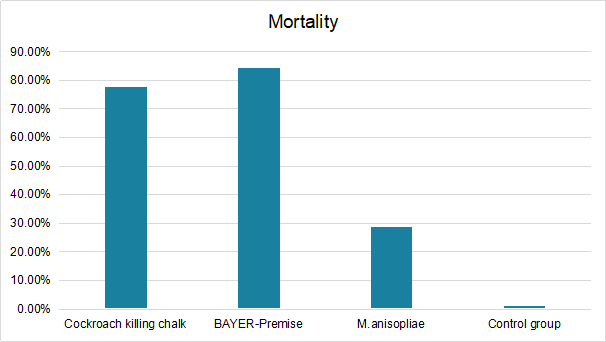 From the perspective of mortality, chemical group has higher mortality. 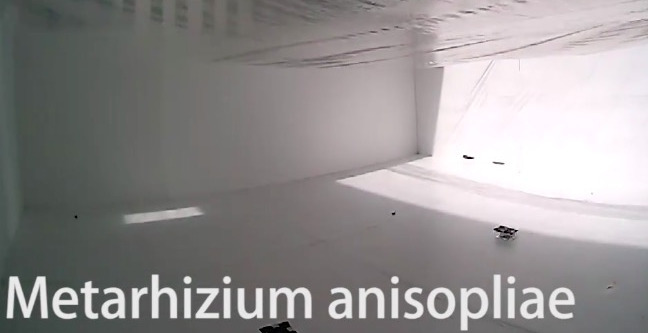 Although M.anisopliae emulsifiable powder group has lower mortality within three days, it can show a difference more time. 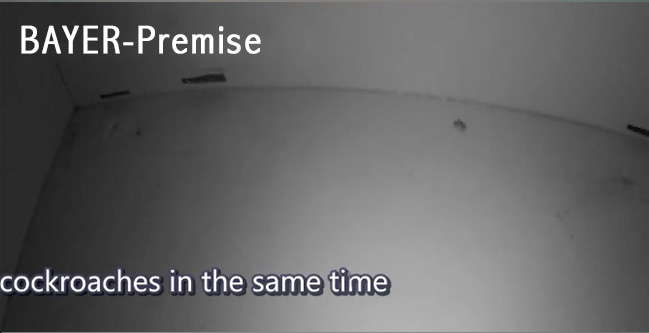 From the point of view of the rate of gnawing, under the natural condition, there is a similar behavior that cockroaches gnaw each other, but the M.anisopliae emulsifiable powder can strengthen this phenomenon, which represents higher probability of pathophoresis between cockroaches. 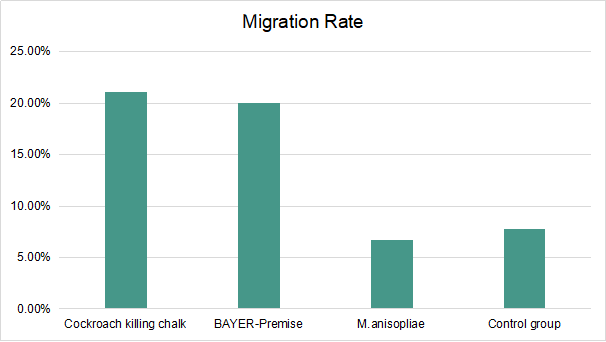 Based on the results above, our M.anisopliae emulsifiable powder will not cause a high migration rate of cockroaches compared with traditional products, although it has lower mortality within three days. Detailed and more scientific analysis can be found in our modeling section.